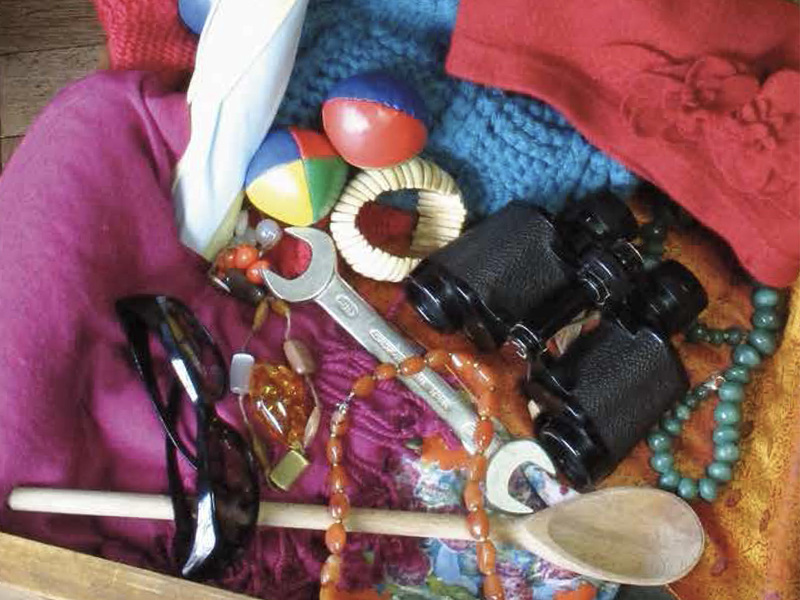 The Beth Johnson Foundation is a charity, based in Stoke-on-Trent, whose aim is to ‘make Britain age-friendly’. 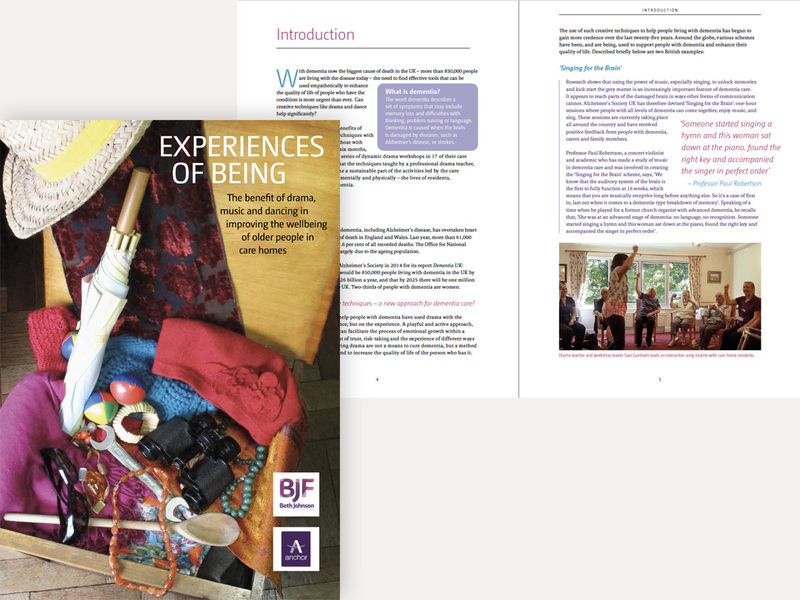 The brief was for the copy-editing and design of three publications: Experiences of being is a report on the benefits of drama therapy for people with Alzheimers. 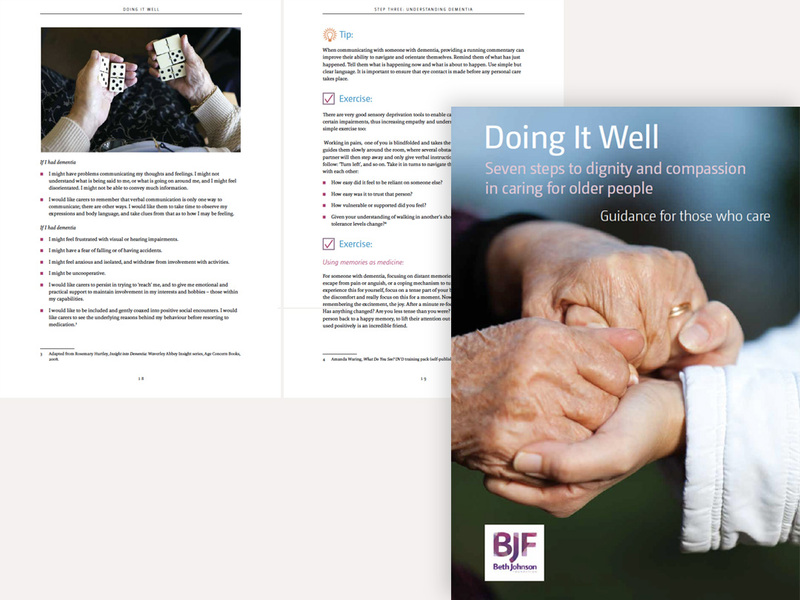 Doing It Well is a guide for carers, professionals and others, focusing on the need to respect dignity. 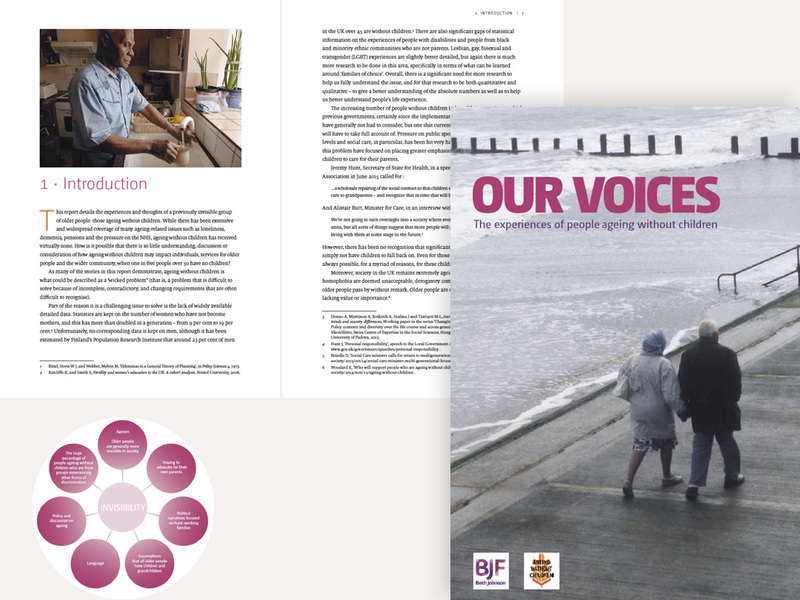 Our Voices is a report on the experiences of people ageing without offspring.